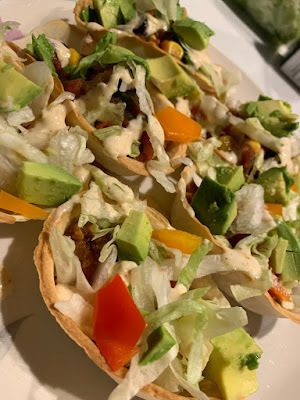 This week I will be sharing some ideas for making taco salad and taco boats. What I did this week was I made some taco boats. There are some in the taco aisle of a grocery store and they can be baked and stuffed with any ingredients of your choice. 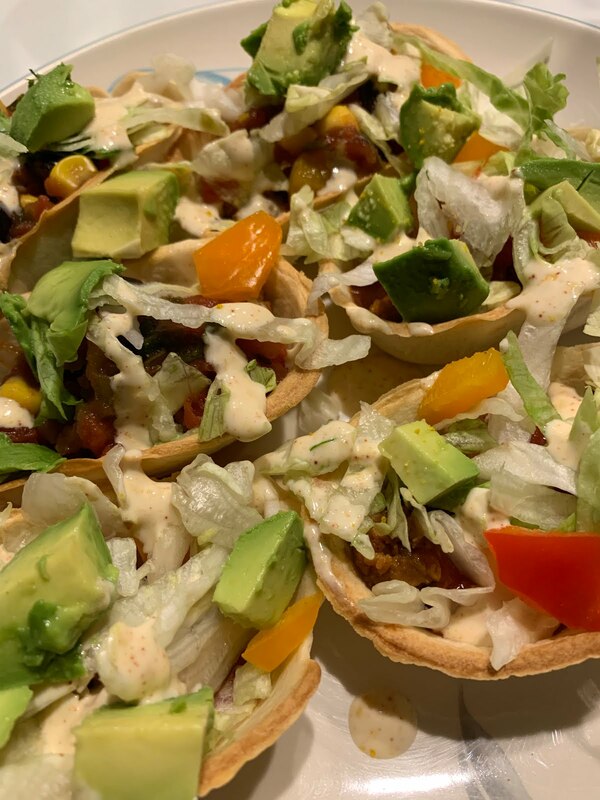 I got some of the taco boats and baked then and while that was in the over, I seasoned some of the Gardein beefless beef and cooked it with some onion. Then when the shells were done I put some salsa and lettuce on top. Then I drizzled taco sauce and creamy homemade sauce. Then I topped it with avocado and crushed tortilla chips. If you run out of taco boats and do not have leftover shells, you can have a taco salad on a plate or in a bowl. I took all of the leftover ingredients and cooked them, then arranged them on the plate. 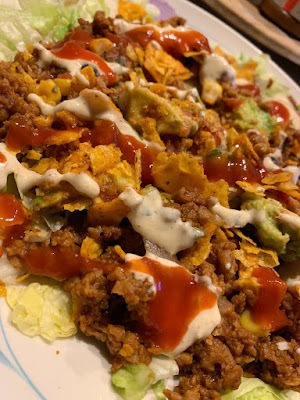 You could also make some nachos with the leftover ingredients. You can customize the ingredients to your liking and you can leave out anything that you may not like or have in your kitchen. I hope you all enjoy and try these meals out. It can be a lot of fun to see how amazing things are when you have a home cooked meal. This tastes a lot like meals that can be ordered out. However, the good news is that you can make this at home. It is amazing how much the Gardein meat alternatives taste just like the non-vegan ones. It is also a good meal to make for non-vegans to show them how identical the tastes are and how good vegan meals can be! Live Well on a Budget! See Ya Meat and Dairy! A New Year, Make it YOUR Best One Ever!